That's a lot of soap and glory! I am a massive S&G fan, I love the smell of the products, the cute packaging makes my heart happy, the names of the products make me smile, and above all the products actually work! I am in hopelessly in love with their smoothie star body lotion with it's almond, oat and brown sugar fragrance it smells like freshly baked cookies and is absolutely amazing! It comes in a pump bottle so is super easy to apply and is really rich and nourishing and definitely keeps those dry patches at bay! 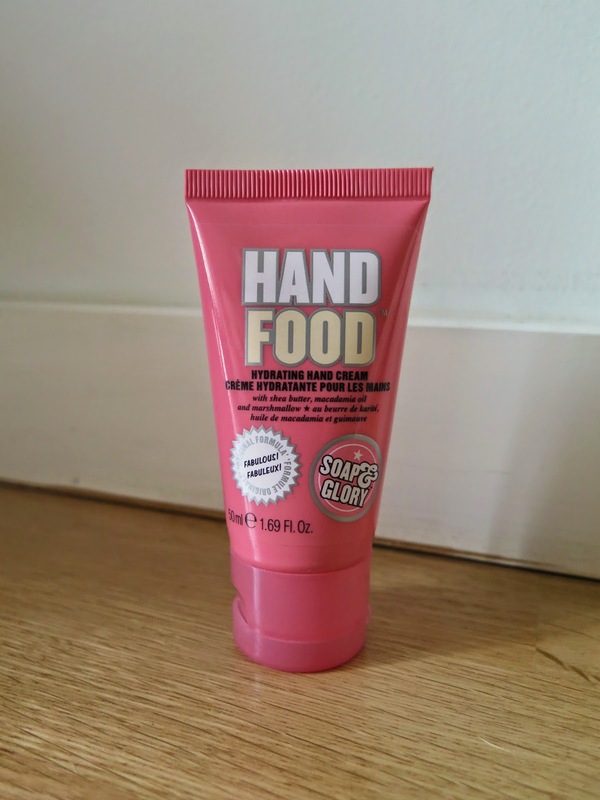 I always have a travel size hand cream in my handbag, and one by the kitchen sink because it smells lovely, is non greasy, sinks into your skin quickly and really does the trick of keeping your skin soft. 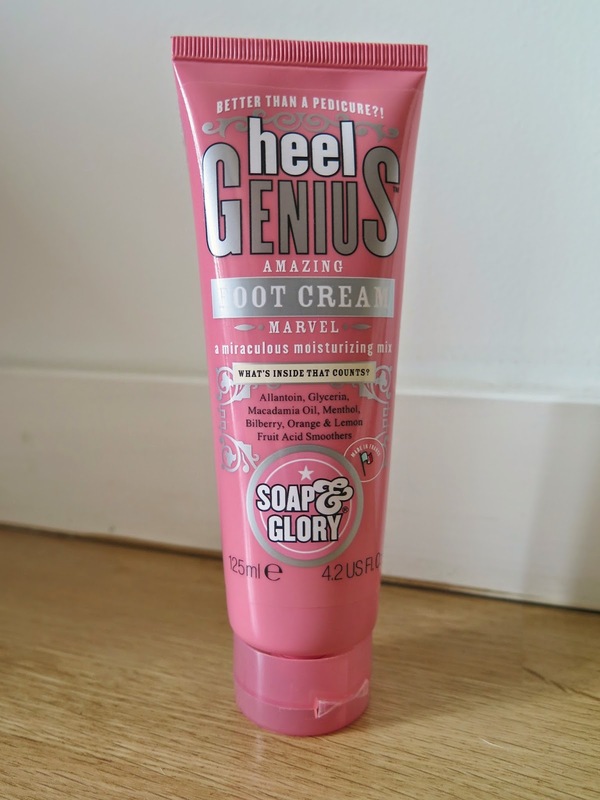 My favourite cleanser is Soap and Glory's peaches and clean, I have problematic skin and this cleanser works really well for me. It cleans without irritating, and helps to keep my skin under control. My skin never feels tight or dry afterwards, and of course like all their other products, it smells great. Peachy with a hint of menthol so lovely and refreshing! Their shower gel is fabulous too, it lasts forever comes in a handy pump dispenser so is really easy to use in the shower when everything is a little bit slippery, leaves your skin feeling clean, fresh and soft! The body butters are great for using on dry spots like your knees and elbows or slathering on your legs when you have to bare them to the world, and remember summer is coming so you need to start thinking ahead for getting those pins out in skirts and shorts!! There are so many great products in their range, I have to admit I haven't really tried much of their make-up range, shameful really. I do however use their mascara and have used their plumping gloss, but I need to branch out a little and try a few more bits. I'm sure I will love them! They are fab products aren't they. So good for the price as well. Smoothie star is the one that smells like cookies right? I adore that fragrance.